Without any special configuration, just add to each order a tracking code and choose the carrier, and if you want to add a message to the customer. 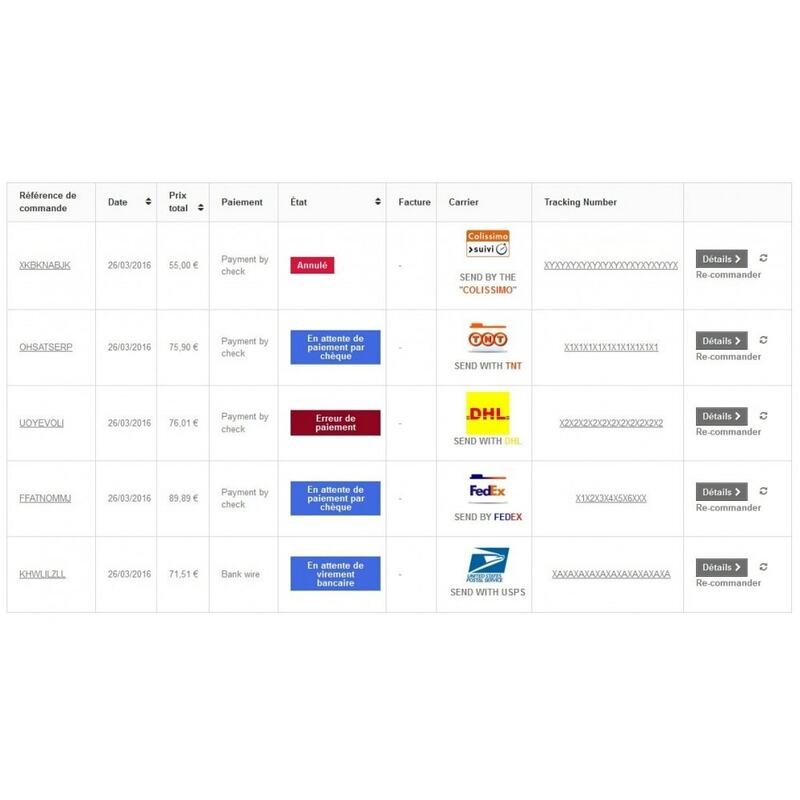 -Have An easy delivery tracking integrated in the order page. -Show A tracking link automatically to your customers. With the tracking code. -Show A message customized to the customer. 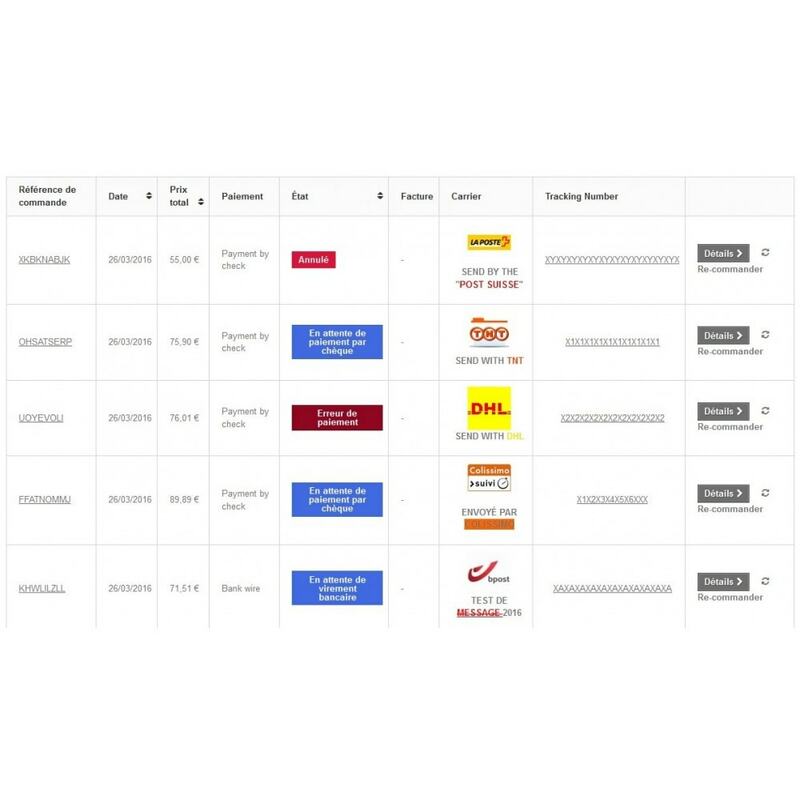 -Show The tracking code delivery in the history of customer orders, with a message, and ability to click on the code to go directly to a tracking page of delivery. 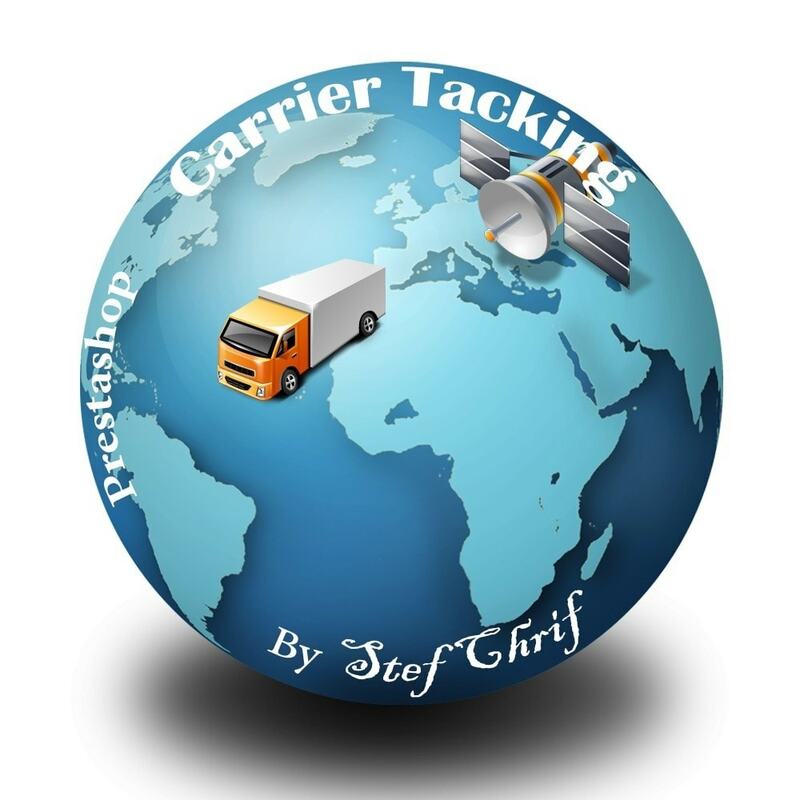 (No need to copy and paste the tracking code on the carriers website). Adds the delivery tracking code in the order details page in the backoffice, and display this code with the carrier + message in the order history page for your client. So the customer can just click on the tracking code to automatically view the status of delivery, without the copy paste to go to the carrier's website. This is a huge time saver for you and for your customers. In addition the module handle 11 most known carriers in the world, and if you have a local carrier that you want to add it, you can send us a message, and if the carrier allows the monitoring of deliveries, it is integrated for free for you within a period not exceeding 7 working days. With our module you will propose a deliveries tracking very flexible to customers. They simply will go into the history of their orders and will find the status of the order and the carrier and the tracking code delivery, and with a simple click on the logo of the carrier or the code they will go to follow the status of delivery.